In a long-awaited decision, the U.S. Department of Education’s Office for Civil Rights (OCR) is re-opening the ZOA’s 2011 case against New Jersey’s Rutgers University, which alleged that Jewish students were subjected to a hostile environment in violation of Title VI of the Civil Rights Act. 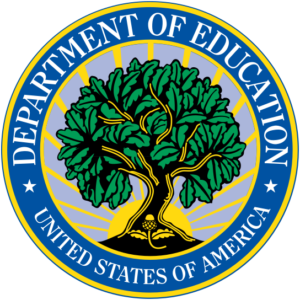 In a groundbreaking decision issued on August 27, 2018, OCR declared that in assessing the evidence of whether students were discriminated against based on their actual or perceived Jewish ancestry or ethnicity, OCR will be using the working definition of anti-Semitism that the U.S. Department of State currently uses. This definition accurately addresses how anti-Semitism is expressed today; it recognizes that Jew-hatred can be camouflaged as anti-Israelism or anti-Zionism. OCR is not only reassessing the evidence already in the record; the agency is also going to determine whether a hostile environment for Jewish students currently exists at Rutgers. The ZOA is proud that it was our work that led to this important decision, which will help OCR assess and address anti-Semitic harassment and discrimination. It was also the ZOA’s work that led to OCR’s decision in October 2010 to reinterpret Title VI to protect Jewish students. OCR’s decision comes more than seven years after the ZOA filed a student-backed Title VI complaint against Rutgers, on July 20, 2011. The complaint alleged that (1) a Jewish student was harassed by the Outreach Coordinator of the University’s Center for Middle East Studies who physically threatened and posted anti-Semitic comments about the student on Facebook; (2) a Jewish student was physically threatened by other students on Facebook; and (3) at an anti-Israel event titled “Never Again for Anyone,” an anti-Israel student group called “Belief Awareness Knowledge and Action” (BAKA) discriminated against Jewish and pro-Israel students by imposing and selectively enforcing an admission fee against them. After investigating the three allegations, OCR issued a letter of findings on July 31, 2014. OCR determined that there was insufficient evidence of discrimination with respect to all three allegations and closed the ZOA’s case. The ZOA filed a timely appeal on September 29, 2014. Almost four years after the appeal was filed, and after numerous inquiries by the ZOA, OCR finally issued a decision on the appeal. The decision was delivered in a letter to the ZOA from new OCR head Kenneth L. Marcus, Assistant Secretary for Civil Rights. Assistant Secretary Marcus decided to re-open OCR’s investigation of the ZOA’s third claim, regarding the anti-Israel event on January 29, 2011. Mr. Marcus concluded that when OCR investigated the claim, it erred in disregarding evidence that Jewish students were treated differently by being charged an admission fee for the event. OCR also erred in disregarding evidence to substantiate the ZOA’s allegation that the University failed to respond appropriately to student complaints regarding the allegedly discriminatory imposition of the admission fee at the event. In fact, as Assistant Secretary Marcus determined, the ZOA did furnish such evidence to OCR. An email from a BAKA student volunteer at the anti-Israel event stated, in relevant part: “We need to start charging because 150 Zionists just showed up!” Student witnesses corroborated that this volunteer sent the email, and that the University refused to consider the email or the students’ complaints about how they were treated at the event. To determine whether students were discriminated against on the basis of their actual or perceived Jewish ancestry or ethnicity, OCR will – for the first time – use the International Holocaust Remembrance Alliance (IHRA) working definition of anti-Semitism. This definition – widely used by governmental agencies, including the State Department – accurately reflects the many forms of contemporary anti-Semitism, including that some Jew-hatred is expressed as opposition to Zionism or Israel. At Assistant Secretary Marcus’ direction, OCR’s New York office will reopen the ZOA’s case to reassess the evidence in the record in light of the State Department’s definition of anti-Semitism. In addition, OCR will determine whether a hostile environment currently exists at the University for students of actual or perceived Jewish ancestry or ethnic characteristics. Morton A. Klein, the ZOA’s National President, and Susan B. Tuchman, Esq., director of the ZOA’s Center for Law and Justice, strongly praised Assistant Secretary Kenneth Marcus and his decision to re-open the ZOA’s Title VI case against Rutgers: “It took a leader like Kenneth Marcus to finally decide the ZOA’s appeal and to also make it clear that OCR will finally be using a definition of anti-Semitism that makes sense and that reflects how anti-Semitism is so frequently expressed today, particularly on our college campuses. 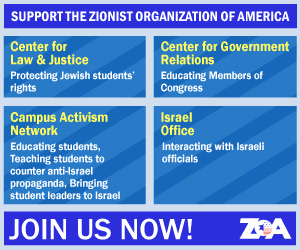 Hate groups like Students for Justice in Palestine try to convince others that their attacks on Zionism and Israel are legitimate political discourse. But as the State Department definition of anti-Semitism recognizes, these attacks are often a mask for Jew-hatred, plain and simple. “We are grateful to Assistant Secretary Marcus for the experience and qualifications he brings to OCR. Under his leadership, we believe OCR will be better equipped to fulfill its mission to protect Jewish students and ensure that they are afforded a learning environment that is physically and psychologically safe. This is what every student deserves. We look forward to cooperating with OCR and providing the agency with whatever additional information it needs to reassess the evidence in the record and to determine whether a hostile environment currently exists at Rutgers.